Home » Blog posts » Enter Our #MyBlushBag Contest To Win A Blush Lane Gift Card! Here at Blush Lane we’re pretty passionate about healthy food. We obsess over apple varieties, care more about organic food than we probably should, and are always looking for ways to drink more kombucha. The great thing is that we know you’re equally as excited about healthy food as we are. We love it when you express this mutual love by sharing your photos online! We want to see what you’ve bought, and what you’re going to do with your groceries. Even better if you have a dog, cat, toddler, or baby to help you unpack your haul. This brings us to our #MyBlushBag contest. We want to see what you’ve bought and why. Share your photo of your Blush grocery haul on Instagram, make sure you’re following us, and use the hashtag #MyBlushBag to enter. Each week we choose a winner to receive a $25 Blush Lane gift card. We’ll also share some of our favourite posts on our social media channels and website. Head to our Instagram page (@blushlane) to enter! Contest runs weekly from Monday to Sunday, with winners notified every Monday. Winners will be chosen by Blush Lane social media team jury. Your Instagram account must be public to enter. 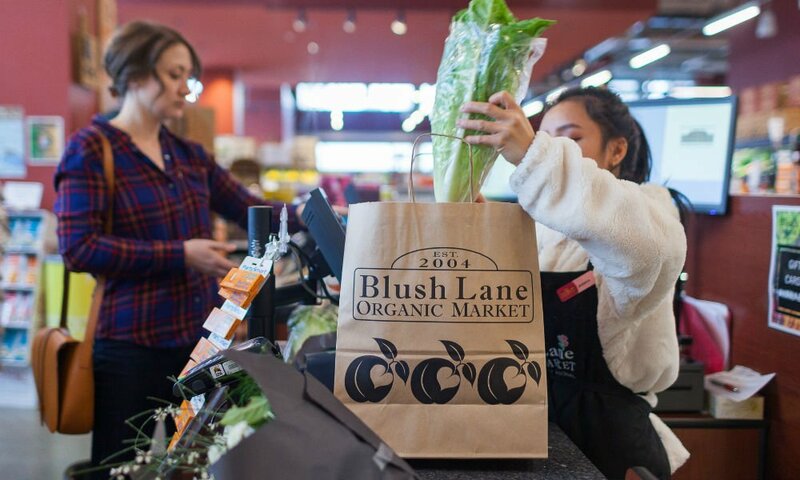 By entering a photo in the contest, you agree to let Blush Lane Organic Market to use it for promotional activities including, but not limited to, uploading it to the website, posting it to social media sites, including it in emails. You also agree to let us use your name along with your photo (to give you the deserved credit). Our #MyBlushBag contest is in no way sponsored, endorsed, or administered by, or associated with, Instagram.